A new report suggests that the Israeli authorities approved the sales of phone hacking spyware to Riyadh so that it could ensnare dissidents. Israel's alleged intentions were to forge an alliance with a major power in the Arab world in its fight with Iran for influence in the Middle East. Washington Post columnist David Ignatius said, citing US intelligence officials speaking on conditions of anonymity, that Saudi officials sought to obtain Pegasus, state-of-the art mobile spyware, from Israeli cyber intelligence firm NSO Group Technologies. The Saudis reportedly carried out some of the transactions with NSO via its Luxembourg-based affiliate called Q Cyber Technologies. Despite some Israelis voicing concerns about sharing the powerful malware with Riyadh, the sources claimed that the Israeli government gave its consent to the purchase of Pegasus by Riyadh. 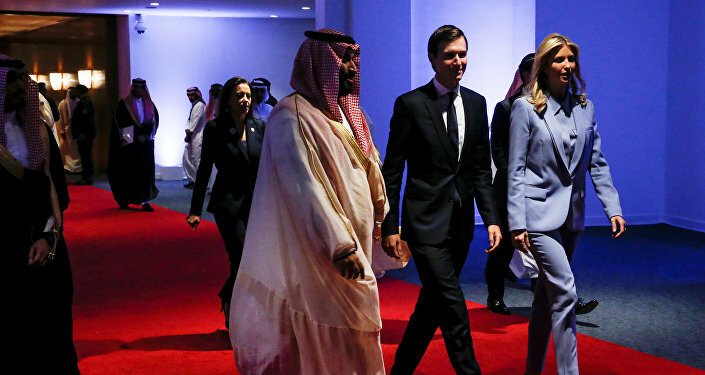 This was seen as a win-win situation, the report says, given that the Israeli "gained a secret Sunni Arab ally against Iran" as well as an opportunity to spy on Riyadh through cyber security cooperation, while the Saudis acquired new tools to combat their "internal enemies." According to a recent Haaretz report, Saudi representatives held talks with NSO Group to obtain Pegasus, looking to hack into the phones of dissidents in Saudi Arabia and elsewhere. Critics of Riyadh living abroad previously claimed that their smartphones had been monitored by Saudi hackers. Among them was Canada-based activist and dissident Omar Abdulaziz, who was friends with the murdered Saudi journalist Jamal Khashoggi. Abdulaziz this week filed a lawsuit against NSO Group, claiming that the firm sold Pegasus to Saudi Arabia in 2017 for $55 million. The spyware was then purportedly used to track communications between Abdulaziz and Khashoggi, which "contributed in a significant manner to the decision to murder" the journalist. Jamal Khashoggi, a US resident and Washington Post contributor, was killed inside the Saudi Consulate on October 2. For around two weeks, Saudi Arabia denied any knowledge of his whereabouts, but eventually confirmed that he was murdered in a "rogue operation" in the consulate. Riyadh arrested 21 individuals suspected of being involved in the murder; five of them are facing the death penalty if they are found guilty. The Saudis have repeatedly insisted that the royal family, including heir to the throne Crown Prince bin Salman, was not involved in Khashoggi's killing. Turkish prosecutors have indicated, however, that bin Salman, who is considered de facto ruler of the Arab kingdom, was behind the whole operation.